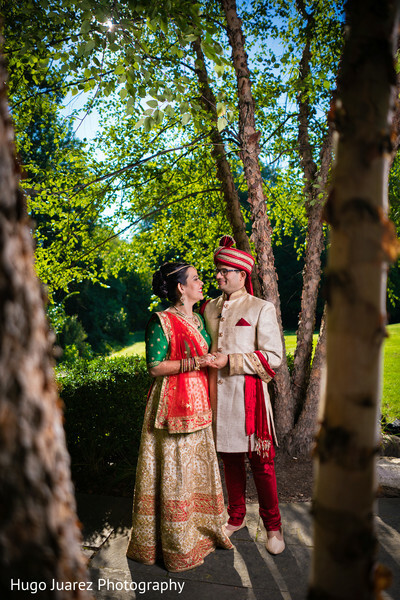 We just love fairytale weddings, and Vibha and Jwalin’s Indian wedding ticked all the boxes for a dream come true bash. 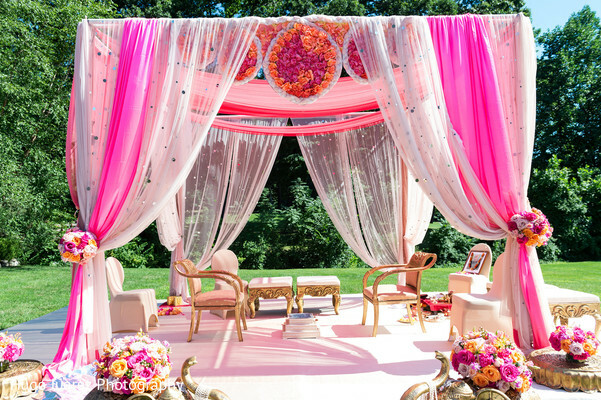 From our initial glimpse of their ethereal pink mandap designed by LAX States, we knew this fresh and breezy event would be one of our faves. 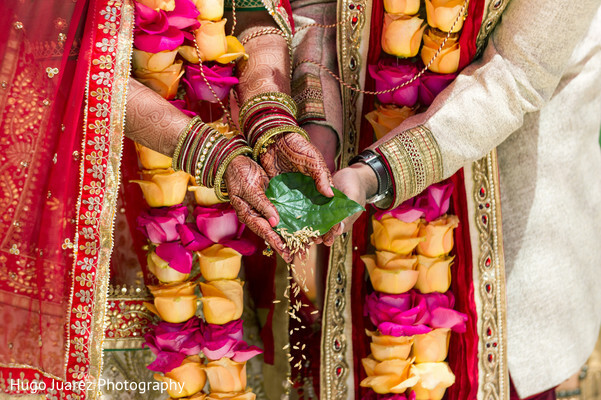 We are a huge fan of the gauzy, glittery fabric used to embellish their mandap, and the pastel drapings against the lush green outdoors created such a striking look. 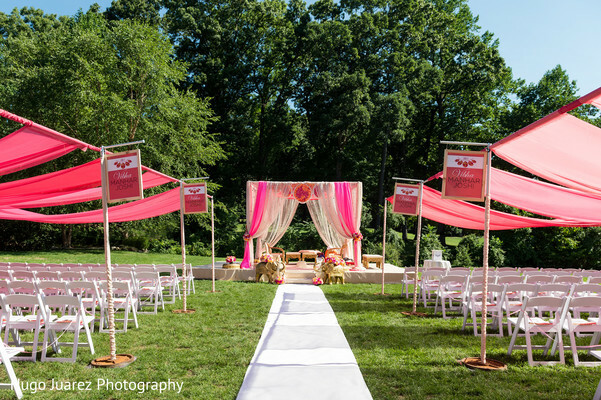 The stage was studded with fresh, sunset hued blooms, and we couldn’t imagine a more beautiful setting to get married in! 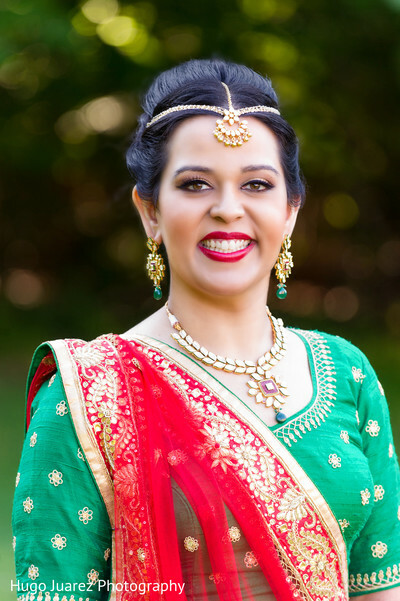 In order to create such a dreamy atmosphere, Vibha and Jwalin brought in planning and design extraordinaires from Ring to Aisle Events and LAX States. They also brought in DJ Vik to make sure their bash had the perfect energy, lighting, and melodies. 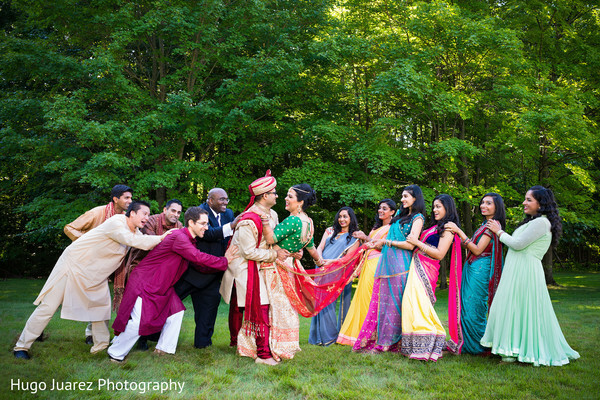 Of course, the most beautiful part of this wedding was the so in love couple. Maharani Vibha was a vision in a unique jungle green and red lehenga that made her look like a regal queen. 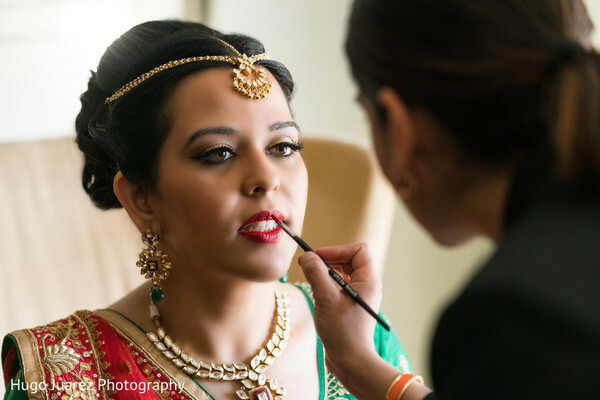 Her bouffant updo and shimmering makeup was expertly applied by Sonia C, and Vibha radiated an aura of loveliness throughout the proceedings. The magical photos captured by Hugo Juarez Photography are loaded up in our full gallery, and we promise that you’ll want to look through all the loveliness to gather inspiration for your own wedding soiree! 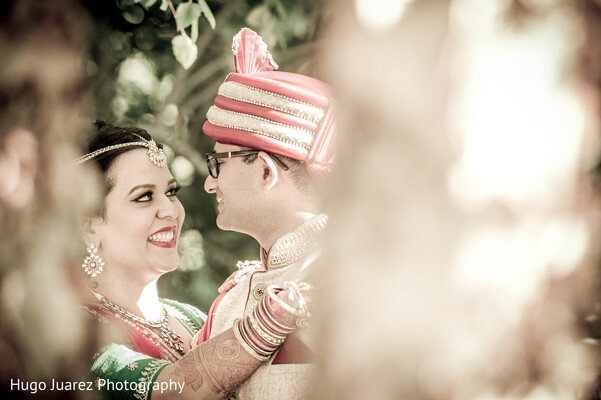 Maharanis, check back in a jiffy for this gorg couple’s reception feature! With music by DJ Vik, food by Sapthagiri, and more fabulous decor by LAX States, you don’t want to miss the deets! 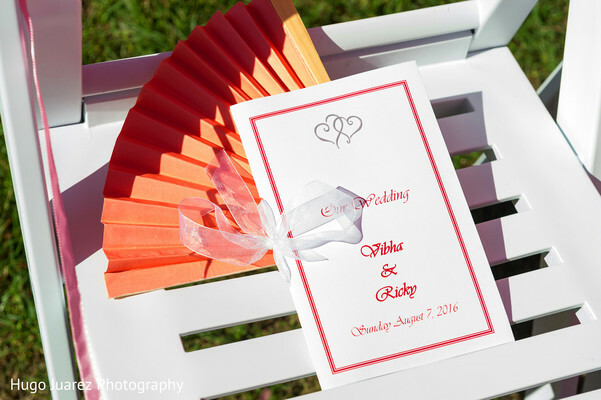 Hugo Juarez Photography, DJ Vik Events and Ring to Aisle Events are members of the Platinum Guide. Love what you see? Explore their portfolios.